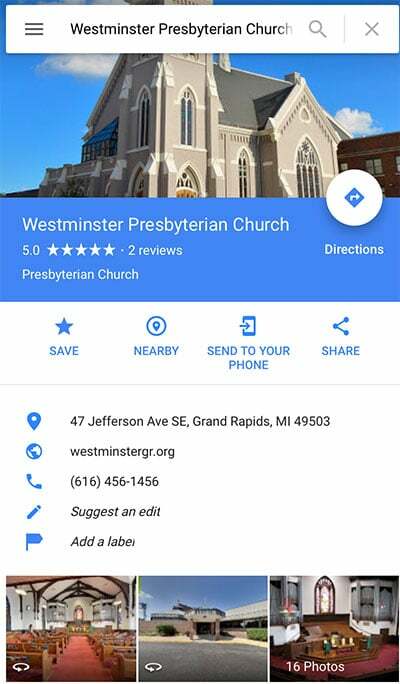 Google Street View is a great technological advancement that allows your Church marketing to reach new people in a fun, memorable way. Before you run, you must walk, and your directory listing on Google is that first step. Before people make it to your location or your website, they see you on Google, that’s your first impression. 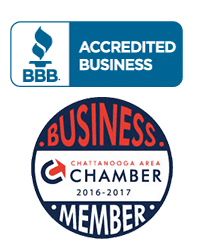 Hi, my name is David McJunkin, owner of myNooga.com here in Chattanooga Tennessee. We are local content creators, and we specialize in helping people get listed correctly on Google Search properties. Our focus is creating content to place on your listing and website. We do this through creative digital photography, audio/video production, cinemagraphs and cutting edge Street View technology from Google. We transform your listing into a colorful, attractive and effective way to market your Church on the worlds most dominate search engine. 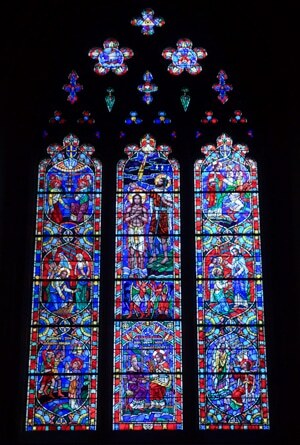 By filling up your Knowledge Graph with colorful, high quality photography and the Google Street View tour of your sanctuary, you are creating an interactive experience with your church marketing and positioning your service online for future virtual reality advancements. And the best part is… you don’t have to be an online expert to get this done. Since we are Google Certified, we handle everything on the back end of the Google Map systems, and we do all the work. No further maintenance is needed from your staff. But it doesn’t stop at Google. You retain ownership of all photography that we create. And we provide you with copies to use in your social media, website and marketing campaigns. And this includes the new 360 technology from Facebook. 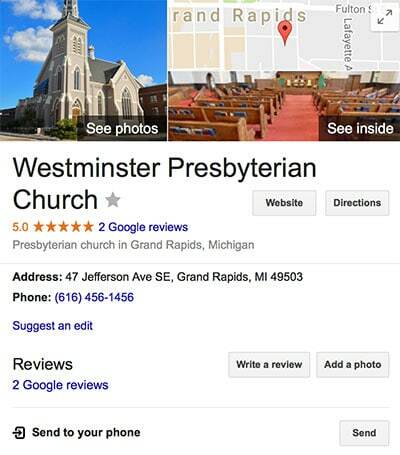 *Sample Church is Westminster Church, Grand Rapids MI photographed by Michigan 360 Tours. Responsive web design structured for search engines and humans, the latest photographic technology from a Google Certified Photographer and an automated reputation system that guarantees glowing reviews.